A great way to get to know us is to bring a meal for our Sunday night dinners. The residents from all three homes come together on Sunday night to eat and fellowship together. It’s a time of sharing and building relationships, and you get to step into the life of Chrysalis. The dinner starts at 5:00pm every Sunday followed by 2 hours of Life Skills class, or a social. You are welcome to stay or to leave after dinner. Please don’t worry about clean up, the women will be happy to clean up after class. 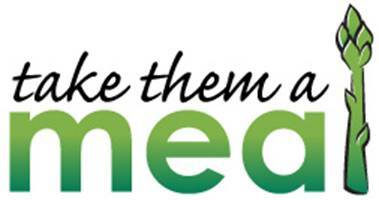 If your family, church group or organization want to bring a meal please sign up at www.takethemameal.com. Go to the FIND square and for recipient name, type in Chrysalis, the password is butterfly. There you will find a meal schedule with available dates and menu suggestions. The meal is totally up to you! The dinner is buffet style. There is a long table that you can place the food items on. There is a kitchen if you would like to cook your meal on site, although most groups bring the meal already prepared. You would prepare a meal for 35 women plus the members of your group. Our gathering is at our State Street location, 2501 W. State Street. If after looking at this site you still have questions please contact Kelsee Reed at 208-412-9180 or the office at 208-424-1323. We would love to spend time with you and have you get to know our residents.